Large Animal Anesthesia Machine: LAVC-2000-D-2 - JD Medical Dist. Co., Inc. The LAVC-2000-D-2 is the absolute top of the line in large animal anesthesia. 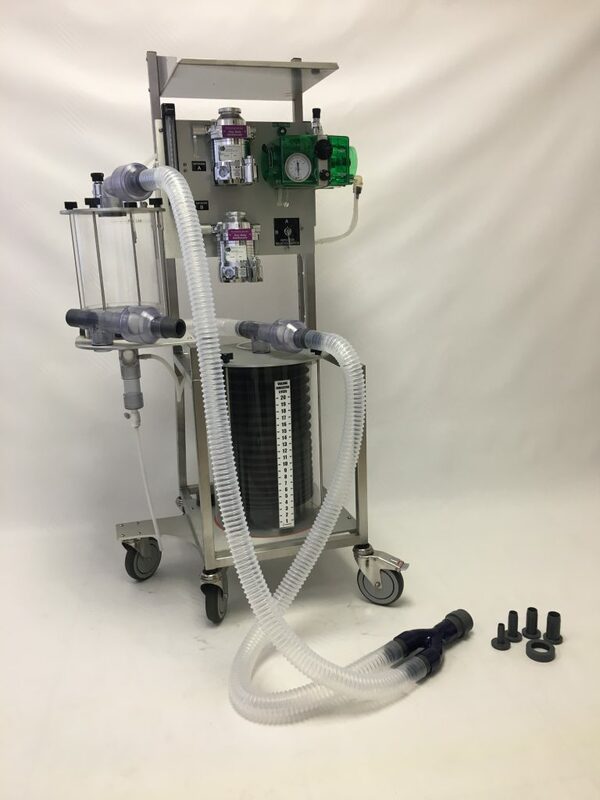 The LAVC-2000-D-2 is the same configuration as the LAVC-2000-D model but a second vaporizer and vaporizer switching system is added, allowing the operator to freely switch between 2 different anesthetic agents without having to move any fittings or physically switch vaporizers. Any configuration of vaporizers is available and all models of vaporizers can fit. Custom options and specifications available. The system can be modified to meet any need or special use. Please contact us for more information. 02 and N20 Delivery Precision Flowmeters (separate) 0-10 lpm ea. w/failsafe system. 5 sec. min./15 sec. max.